You can never have too many shelves! Bedrooms, living rooms, bathrooms are often shelf 'poor'. That means you have to create your own or buy stand alone pieces of furniture to house your goodies. 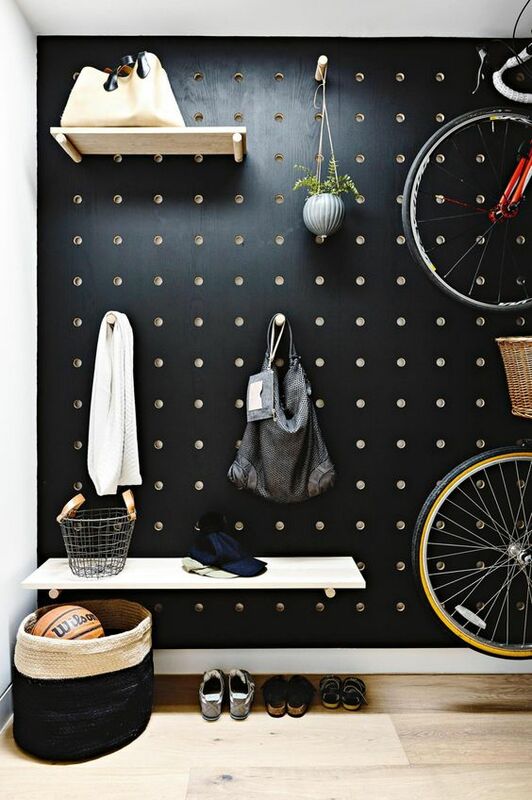 This post has 25 great shelving ideas for your walls. 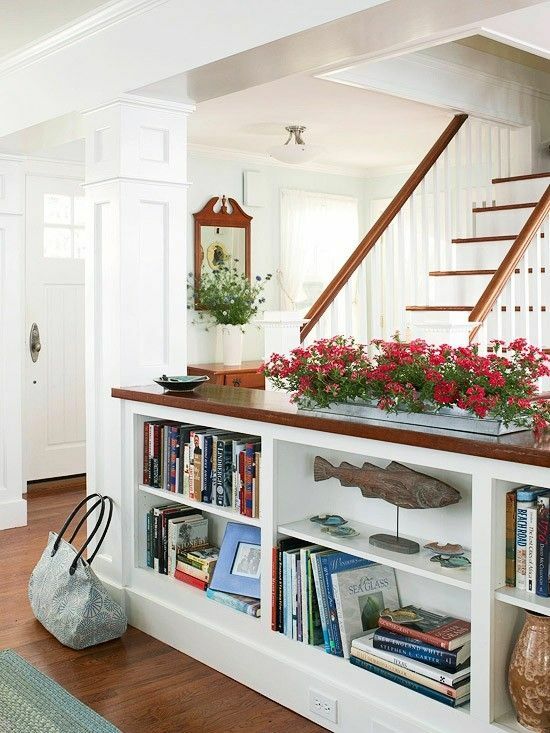 It covers how to use shelves to create nooks, storage and features. 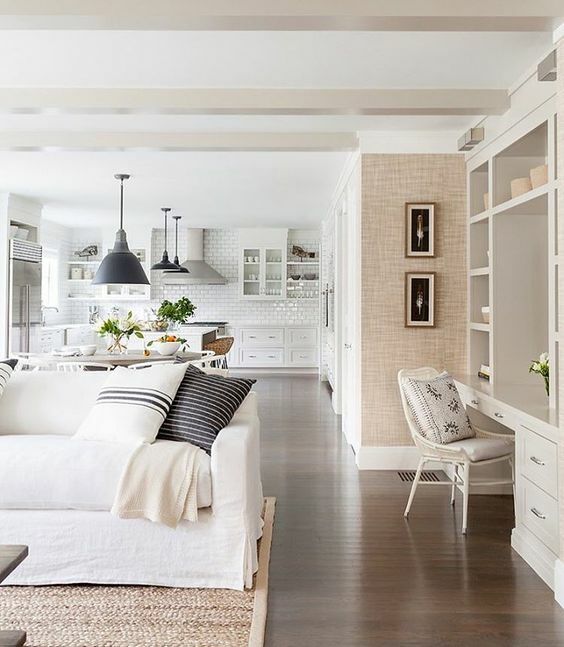 Shelving also works well in creating zones as a rooms divider, or using different heights to create a seating, desks or countertops. This can be important in homes or apartments depending on their size and layout design. Shelves are useful as storage. But they also become useful when creating separate zones in larger living spaces. Like virtual walls, helping you create space where none existed before. You can do this a number of ways using DIY wall solutions, or simply carve our areas, adding them to your bedroom, laundry or mudroom. 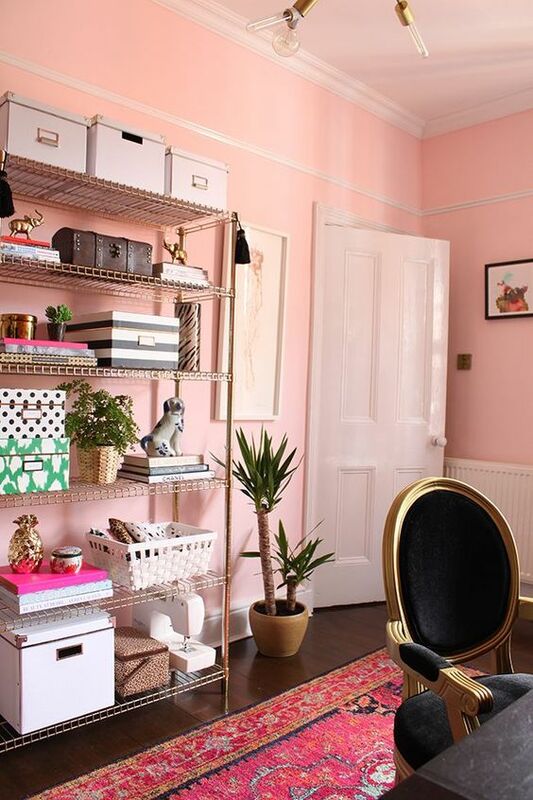 Thinking differently about your rooms and layout can help you create space in creative and inspirational ways, beyond the normal wall shelving designs. That could mean taking out a wall and installing a half shelving unit or replacing a stair banister with shelving. 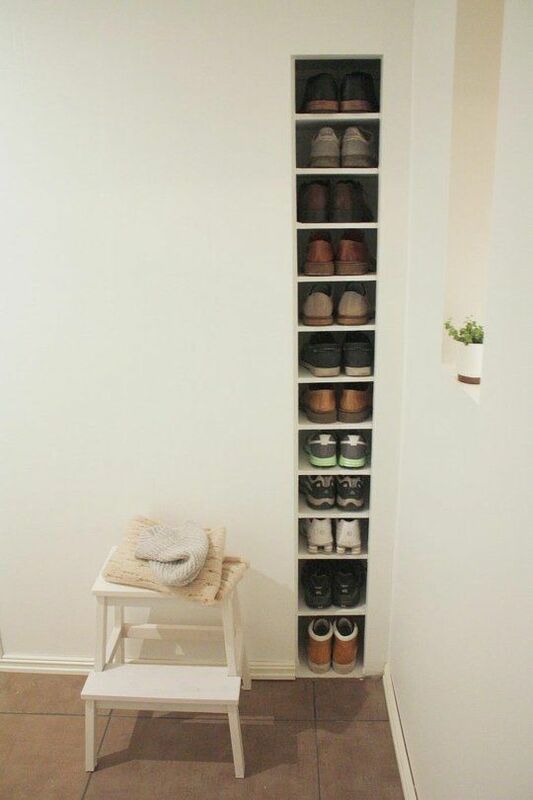 You can use wall cavities to create storage shelves. You can do this in the planning, design and building stages of your home or later during a renovation. 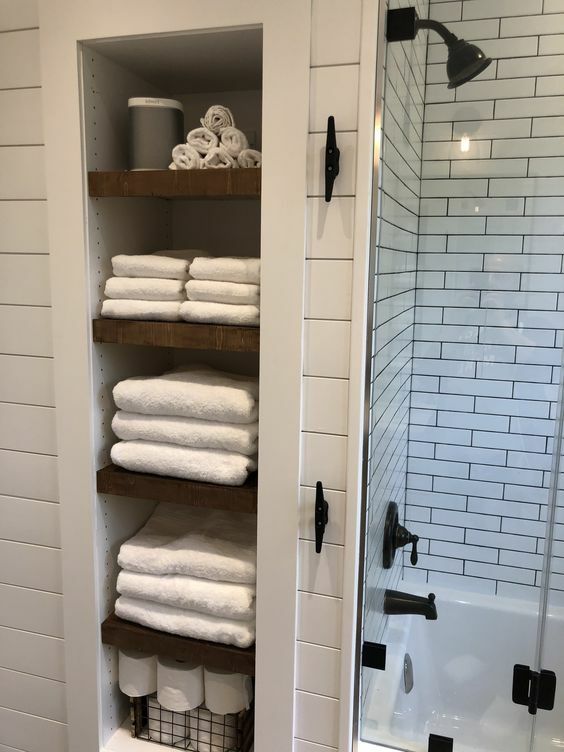 As a stand alone renovation, the cost is relatively high when compared to buying and installing store bought wall shelving. If you have the skills to do this yourself, the results you can create can be stunning. This can be a challenge and will depend on your needs and objectives. 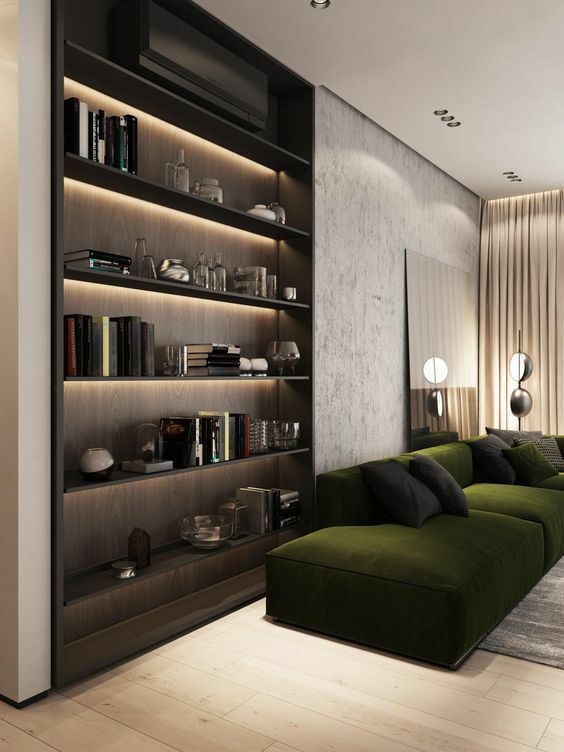 Notice the wall shelving below looks like a room divider but has mirrors and lights to reflect natural light and create the illusion of a room divider. It provides privacy and creates a focal point at the same time. 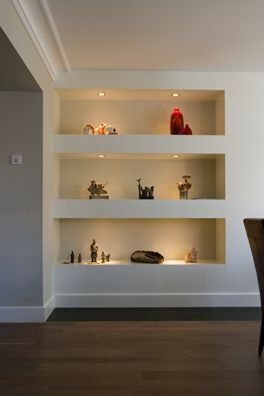 Your niche shelving can include a boxed wall mount. A compilation of boxed glass mixed in with mirrored boxes to create an interesting feature. 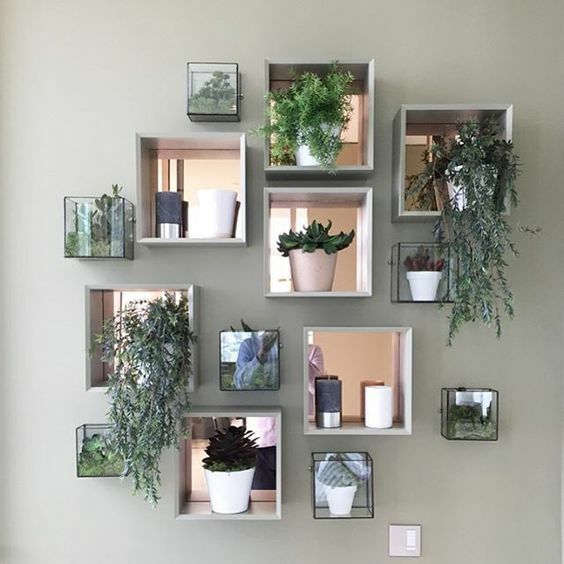 Its not your standard wall shelving but its interesting and useful and allows you to change your decorative themes with the seasons. 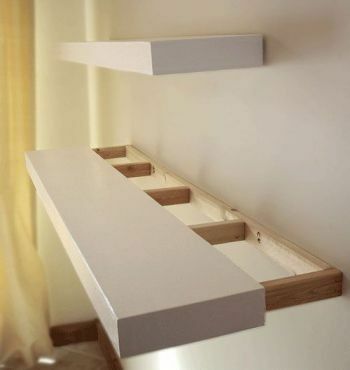 Floating shelves are eye catching and relatively easy to install. Being raised off the floor, they appear to occupy less space. 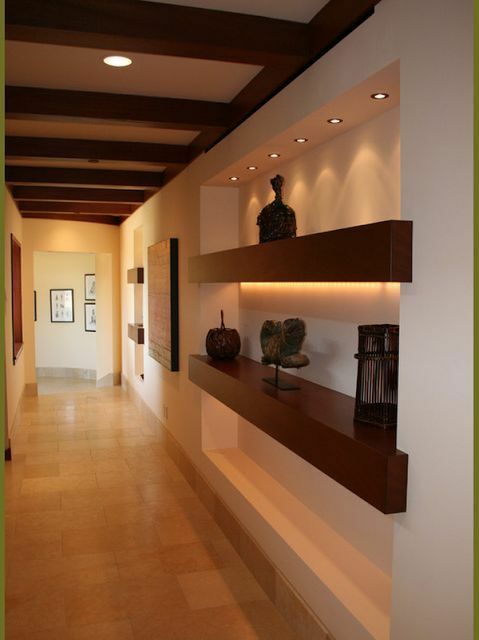 Using vertical wall real estate, rooms feel less cluttered but still provide all important storage. They are relatively easy to install and can be completed in a less than an hour. 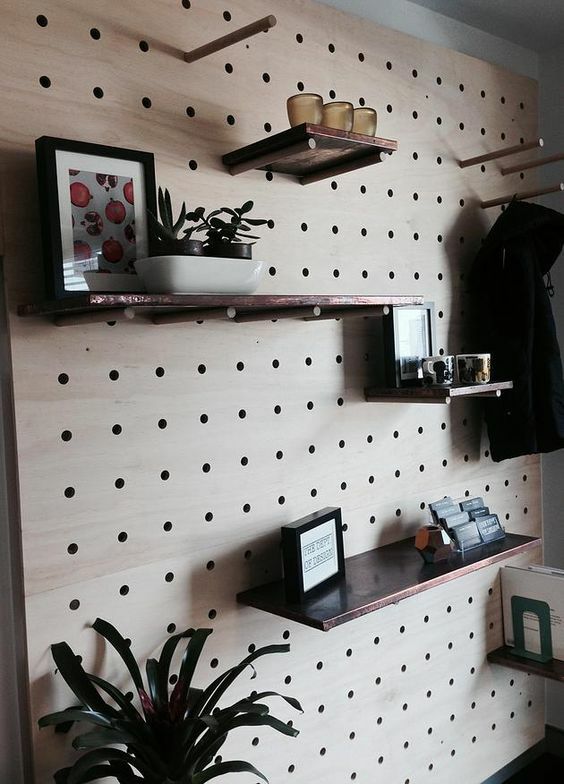 Like a moving piece of art, pegboard wall shelving can look as glamorous as you want, need or like. It can change with your mood or the seasons. 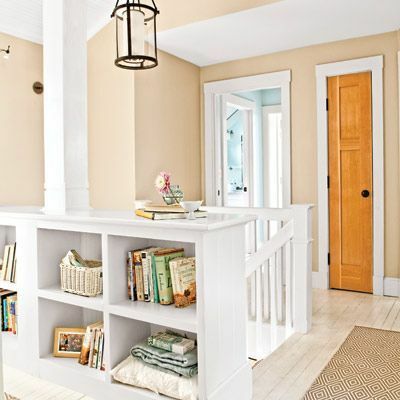 From hallways to home offices, this is an easy way to include storage and decoration. They can vary in size, shape and best of all color. 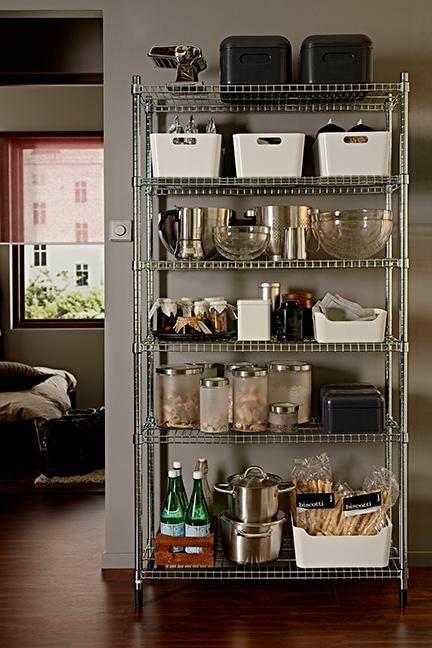 Wire shelving is mostly used in kitchen, laundry or garage areas. Adjustable wire shelving can cater to almost any storage needs and can be moved around the home as your needs change. Hard wearing with a clean industrial look, they are relatively inexpensive to buy and tough enough to take heavy loads. You can also choose more decorative modern wire storage if the block industrial look is not what you want. 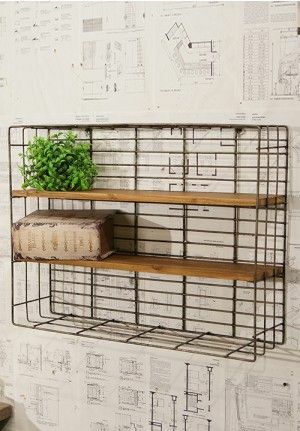 Wire shelving comes in a range of sizes and styles which makes finding the right size for your wall space easy. Metal shelving can take on lots of shapes and sizes. 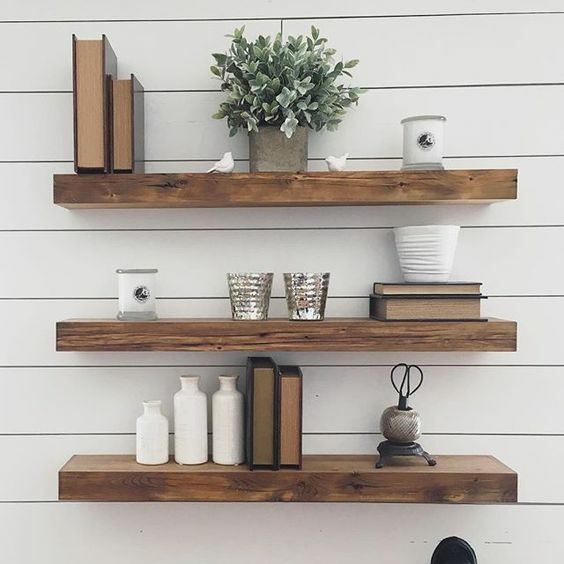 Rustic tones with dull matte metal and wood shelves are a farmhouse classic. 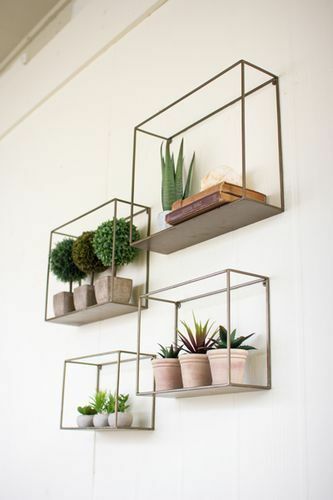 With copper the new glossy look on the block, you spray painting existing shelves for a fast makeover. These look more polished and can work in your bedroom or office. And you don't have to stick with a tower of rectangular shelves. Beautiful ornamental wire baskets are available ready to be filled with flowers, fruit, letters or linen. 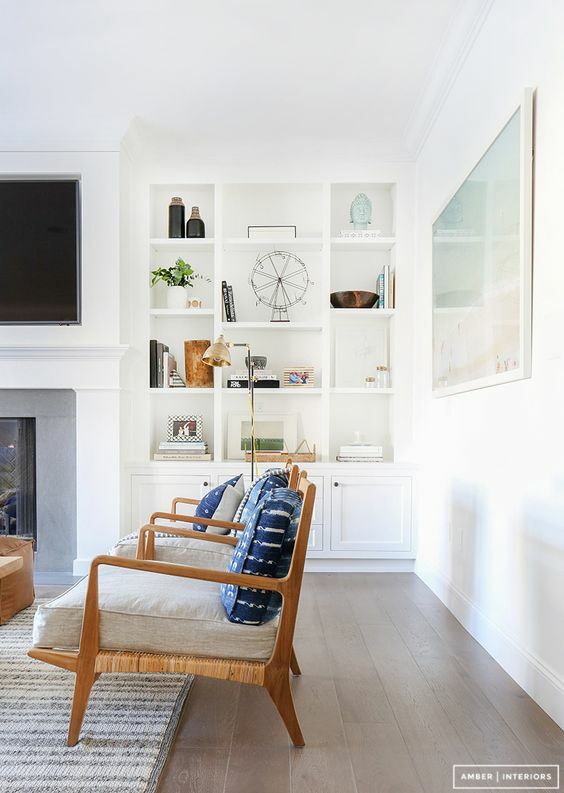 One of the easiest ways to create shelving is to have your home do all the hard work. Just find three walls to create your storage box. Corner wall niches in different sizes are everywhere! 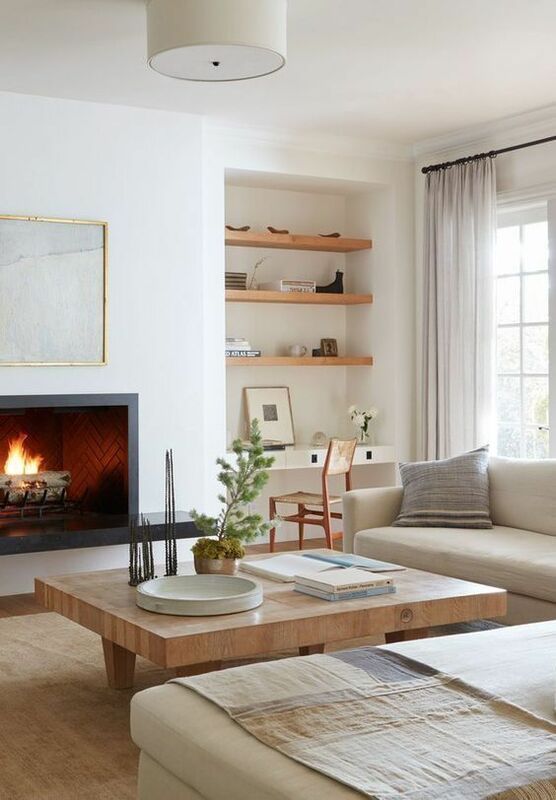 Between fireplaces and walls are perfect. But any wall space will work. It's up to you if you decide to cover them with a door. Doors are often not needed. 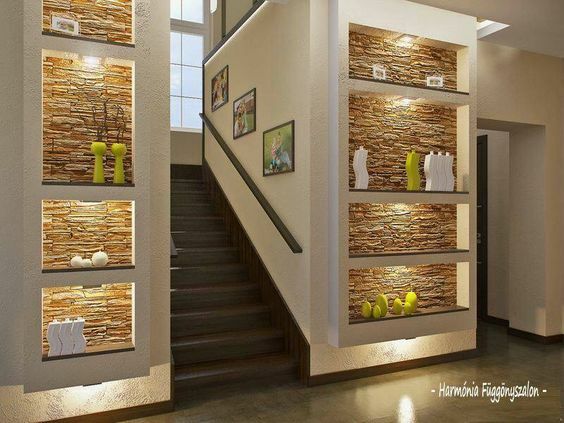 In fact, the polished look of wood can be a beautiful feature in itself. 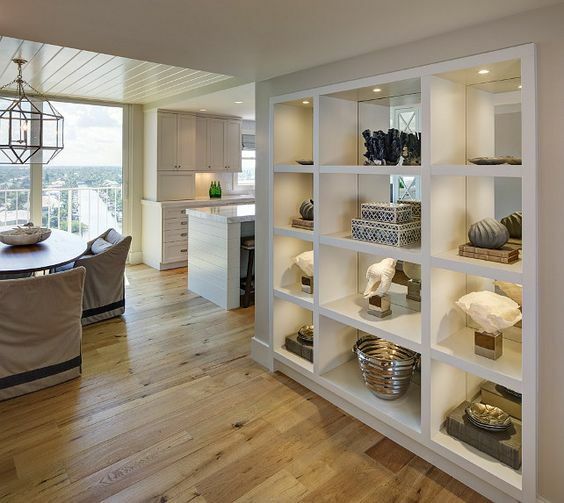 Rich wood tones in light or dark wood shelving are a lovely contrast. You can add strip lighting for a dramatic effect. 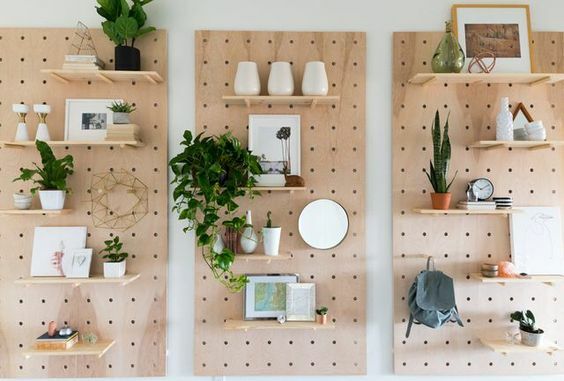 These wall shelving ideas should inspire you to use your wall space in useful, functional, creative and very decorative ways.